TIVOLI ECORESORT PRAIA DO FORTEIVETE SANGALO - SHE'S BACK! Special moments deserve replays. 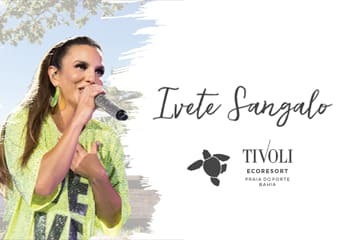 We would like to invite you to experience a unique weekend in the most enchanting in Bahia, with an exclusive concert of the singer Ivete Sangalo at the Tivoli Ecoresort Praia do Forte.